People choose Sarasota County as their Florida beach destination for several different reasons. Maybe you’re looking for fun in the sun at a populated beach, or instead, are searching for a quiet beach on which to drift off to sleep. No matter which beach vacation sounds best to you, our sands have what it takes to warm your toes… and heart. Ranked the No. 1 beach in America by TripAdvisor users in 2015, Siesta Key has everything you could want in a beach – silky soft, white powdery sand, turquoise Gulf waters and unlimited amenities that keep both tourists and locals coming back for more. On Siesta Public Beach you’ll find community activities such as tennis courts and volleyball nets. Children also have a place to play and interact in the shaded playgrounds. While this beach is often more crowded and filled with happenings, you could easily take a walk to more secluded areas and relax with a good book while soaking up the rays. Crescent Beach – just south of the public Siesta Key beach, this beach offers the same soft sand and spectacular views, without the crowd. Referred to as the non-private private beach, this is perfect for the solitude you desire. Turtle Beach – at the southernmost end of Siesta Key is Turtle Beach. The sands here are different from those that you’ll find on Siesta Public Beach and Crescent Beach. There are many more shells, which can be fun for collectors or families with kids who like to scour for pretty shells. Fishing is also popular nearby and boats often leave from the Turtle Marina (or dock there for lunch at Turtle’s Restaurant). 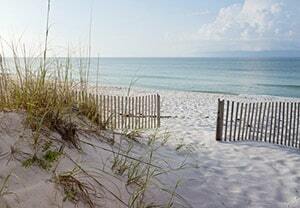 A favourite amongst locals, Lido Key is known for its slower pace and secluded shores. Depending on what time of year and time of day you go, you might be the only person there! Lido Beach – offers concession stands, a playground and cabana beach rentals. North Lido Beach – great for privacy, but there are no lifeguards on duty. Perfect for taking in a beautiful sunset. South Lido Park – lined with the beautiful waters, South Lido Park overlooks downtown Sarasota. Or if you’re in the mood for a dip in some unsalted waters, you can check out the Lido Pool. This narrow beach bordered by the Gulf and Sarasota Bay is mostly private, however, there is limited public beach access. Visitors love taking in the view of the luxurious mansions lining much of the key, as well as the peaceful beach. Ideal for a nap, a swim or a private picnic, Longboat Key is a true island getaway. Known for its old-Florida vibe, Casey Key is an area that is also great for privacy. Casey Key’s most famous resident is the author, Stephen King. North Jetty Park – a great beach for the family looking for it all – snack bar, lifeguards, fishing, horseshoe courts and a wonderful view! Nokomis Beach – Another beach with amenities such as a snack bar. Nokomis Beach also has boat ramps and dune walkovers. No matter which beach you decide to spend your vacation on, or if you choose many of these great spots to soak up some sun, you know that finding the perfect vacation rental property to match is easy with Jennette Properties. Contact Jennette Properties today to start getting ready for your dream vacation!